Sydney Swans are in town next week on Tuesday 19th and Wednesday the 20th of February, visiting schools, conducting Community Auskick sessions and the AFL Hunter Central Coast 2019 Dinner with the Swans held at Belmont with up to 16 players from both regions. Unfortunately I can’t share the names of players with you as the lists are still being confirmed from the swans. The Community Clinics are a great opportunity for our region to promote our game and for your club members to “meet and greet” up to 8 Sydney Swans players. I’ve attached the Community Camp flyers for both the Northern and Southern sessions, please share with all your club members. It would be fantastic to see Junior players from all our amazing 9 clubs in their swans or club gear at either or both sessions whilst the media are present and a great opportunity for you to take photos/videos for use on your various media platforms. Missing the footy? So are we! But never fear, the 2019 season will be here before you know it. Off the back of another year of growth in club football participation across New South Wales and the ACT, registrations for the 2019 season are NOW OPEN! The Peninsula Swans Committee is looking forward to a positive 2019 season.This year we are hoping to field all ages and hoping to field some girls teams. We would love to see more AFL supporters at the games this year. We look forward to seeing you back on the field in 2019! Training will start mid March 2019. We have Training on Wednesday afternoons. We will have training at Rogers park Woy Woy This is a great chance for new players to come and have a try of AFL and for everyone to just get a kick of the football. 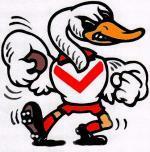 The committee is proud to announce that Ettalong bowling club have again sponsored the Peninsula Swans AFL Club. We are truly grateful for their support and encourage all of our members to think of Ettalong bowling club whenever they need a quiet night out. 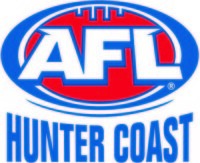 In a very exciting recent development AFL Hunter Coast has joined forces with Tyrepower as a major partner for the 2016 season. Tyrepower's cash contribution allows the League to run a high quality competition whilst keeping the cost to players as low as possible. A further element of the partnership sees Tyrepower providing our members with access to special offers. The first of these offers are now available via our Facebook page (www.facebook.com/CCJAFL). Please stay tuned to these two avenues for further special offers across the course of the season. We aim to grow this partnership into the future. Tyrepower offers a full range of services including tyre sales and fitting, wheel alignments, and full mechanical servicing. Please do what you can to actively support Tyrepower as this will greatly assist us in extending and expanding the partnership. Here is the link to our facebook group. Request to join the group so you can post on the page. We are looking for people to join our Swans committee for a 2019. If you can help out in any way please email psjafl@gmail.com We have a meeting once a month on the first Monday of the month. The club lives and breathes through the support of the sponsor so this role has a significant presence for the club. Spread the word and help make 2016 a fun and fantastic year.